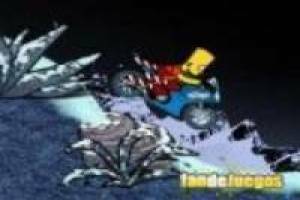 Bart Simpson grows older and has already obtained permission to drive motorcycles. He is still not very good at it so we will have to help him in this New Year' s mission. You will have to travel these circuits full of ups, downs, potholes and other obstacles. You must do it with great agility so as not to overturn and end up on the ground. You have to travel the distance of each level successfully to complete it and move on to the next level. In this game there is an advantage and that is in the middle of the journey you can find control points that will help you start from there if you lose, so you save what you have already done before. 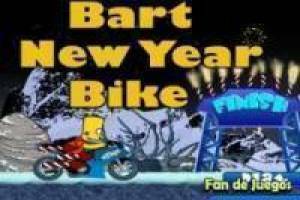 He controls Bart Simpson' s motorcycle and arrives home to celebrate the new year. 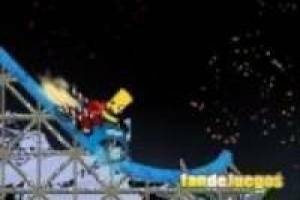 Enjoy the game Bart Simpson bike: New year, it's free, it's one of our the simpsons games we've selected.